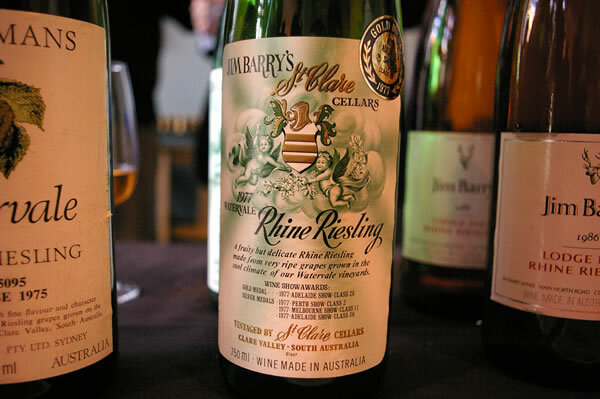 Jim Barry Wines is one of the leading producers in Australia’s Clare Valley. Jim was only the 17th winemaker to graduate from Adelaide’s Roseworthy College back in 1946, and went to work for the Clarevale Cooperative – the first qualified winemaker to operate in the Clare. This was followed by a spell at Taylor’s, also in the Clare, and then in 1959 he purchased a property of his own, followed by another in 1964. However, the grapes from these vineyards were sold to others, and it wasn’t until 1974 that he set up his own operation, with a new winery. There’s a nice history here. Today, Jim Barry Wines has over 200 hectares of vines in 10 sites in the Clare and a 15 hectare vineyard in Coonawarra. It’s still a family-run operation, and Peter Barry (above), one of Jim’s sons, is the MD. These wines were tasted with Peter. I really liked them, but on some of the older reds I was a bit surprised by what, to my palate, seemed to be some brettanomyces character. This isn’t necessarily a fault; it just depends on your tolerance for these spicy/phenol/animal notes and how they fit in the context of the wine. This was a rare chance to try some older Rieslings (which were evolving beautifully) and a vertical of the top wine, the Armagh. This is a Shiraz that is now one of Australia’s cult wines. Under 1000 cases of Armagh are produced annually; the exact volume is not disclosed. Just 200 bottles reach the UK. The vineyard is managed in three separate lots and usually only two of these will make the grade each year. The scarcity of Armagh was the reason that the McRae Wood was developed, but even this is now allocated, too. 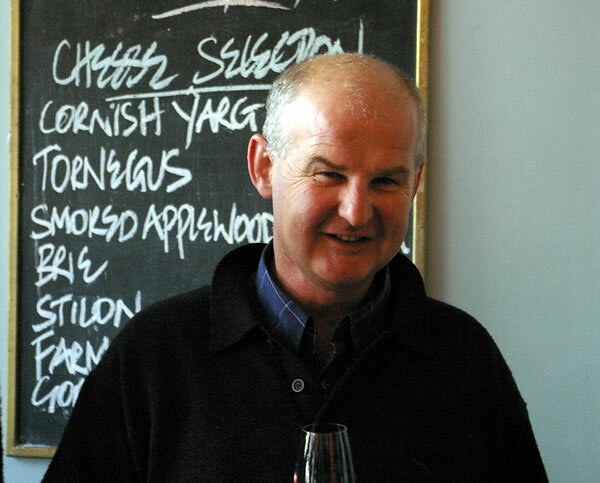 'Without doubt, the Clare is a special place to make wine', says Peter. 'We make great Riesling, Shiraz and Cabernet, but we can't make great Chardonnay or Pinot Noir: it's an unusual thing'. He also adds that one of the strengths of the Clare is that it has been settled by the winemakers, not the lifestylers. 'I was lucky to be born here', he says. 'Hopefully, I'll die here'. We also got to look at the new icon wine from Jim Barry, The Benbournie, a Cabernet Sauvignon.